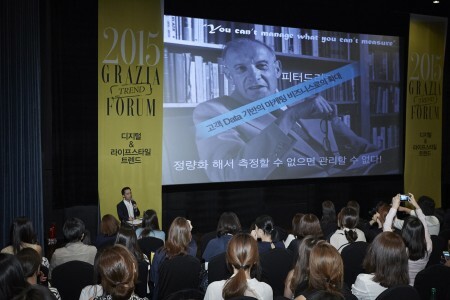 Grazia Korea hosted a Trend Report lecture for 300 advertising clients last July. The topic were “Mobile Payment” and “Chines tourist marketing”. Participant were provided with an exhaustive folder of print material and the event was a successful interesting one.